Women were just making inroads into aviation in the 1980s. Some were already working in the industry – Christine Davy was a senior pilot with Connair – but it was still challenging for women wanting to pursue a career as a pilot. Deborah Lawrie had to take her quest to be accepted by an airline company to the Victorian Equal Opportunity Board. This was due to a combination of misogyny and sexist beliefs that suggested women were not strong enough for the job, or else would be restricted by hormones and PMT. They could even fall pregnant, heaven forbid. A lesser factor was the cost of training and the fact that women earn less than men as well, making financing training a more arduous process. Kathy took up her new job in Alice Springs in this environment. She was conscious of the biased attitudes she was likely to encounter and knew she would have to prove herself, whether to her colleagues or to the local community. She was apprehensive about how she would cope. It was the unknown rather than lack of confidence in her flying skills that caused her anxiety. By nature, she was reserved and controlled, and her outward demeanour hid her inner turmoil. Kathy: Learning to fly was something I dreamed about for years, but never really thought it was possible. They I met some private pilots in a social setting, and realised if they could do it, so could I. I booked my first trial flight and after that, I was hooked. I had no definite career objectives until then, but suddenly a new option opened before me. So you knew you wanted to become a professional pilot? Kathy: Not immediately. My first focus was going solo and then getting my restricted pilot’s licence. Just getting that far took a bucket load of money but by that stage, I was really focussed. I was working in retail, but took a part-time job in hospitality as well so I could save up enough to do the rest of my training in one hit. My unrestricted license followed and then I worked towards my commercial license. Did you have much support? Kathy: My family were surprised at my choice but didn’t raise any objections. I also joined the Australian Women Pilots Association, and that is where I really felt supported. Whenever I felt discouraged or that I was chasing an impossible dream, other members reminded me of what was possible. What made you decide to take the job in Alice Springs? Kathy: Getting experience is so important, and the type of work that was available with StationAir would not be offered to me in a major city. It was a fantastic opportunity to both gain experience and to prove myself. At times I wondered what I was taking on, but I kept looking around at other people who were doing similar work and knew that I was just as qualified as they were. You seem to have made some good friends in Alice Springs. Kathy: Absolutely. That made such a difference to starting a new job, in a new town and with unfamiliar requirements. Sarah was an absolute darling, going out of her way to make me feel at home. Brian showed me the ropes as well, and I am really grateful to both of them and the welcome they gave me when I first arrived in town. What advice would you give to another young woman looking to aviation for a career? Kathy: Don’t believe anyone who says it’s not a job for a woman. There are challenges – I don’t deny that, but if you’re determined and are prepared to go where the work is, the opportunities are there. I’d suggest joining AWPA and getting to know other women in the industry. There was a suggestion that you only took the job in the Northern Territory in order to find a husband. Kathy: Spurious suggestions like that shouldn’t even be given air. I know I met Alex in Alice Springs, and yes, we’re now married, but that was a surprise to me as much as anyone. The last thing I was looking for was a relationship. Is that all? I’m running late for the northeast mail run. Don’t let me keep you – you’ve been most helpful. Thank you. If you wish to leave a comment, fill in the form below. As publication gets closer, I am finally able to reveal the new cover for The Red Heart. I’m thrilled with it, and the cover certainly has that Australian flavour, which was important to me. Looking at it, you can see that aviation features in some way as well. The official launch date for the book will be 30 May 2018. It will be available from your favourite online book retailers at a cost of $3.99. Print books will be available at $16.00 and can also be ordered from this site. 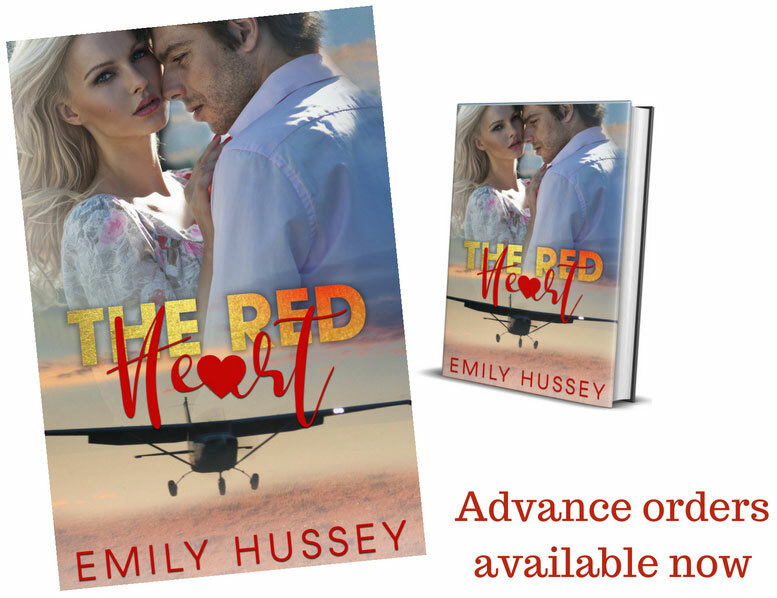 Details about the book are available on Goodreads https://www.goodreads.com/Emily_Hussey. For those on my mailing list, advance copies are available at books2read.com/u/bOAroQ. Copies won’t be available via Amazon until the 30th May. 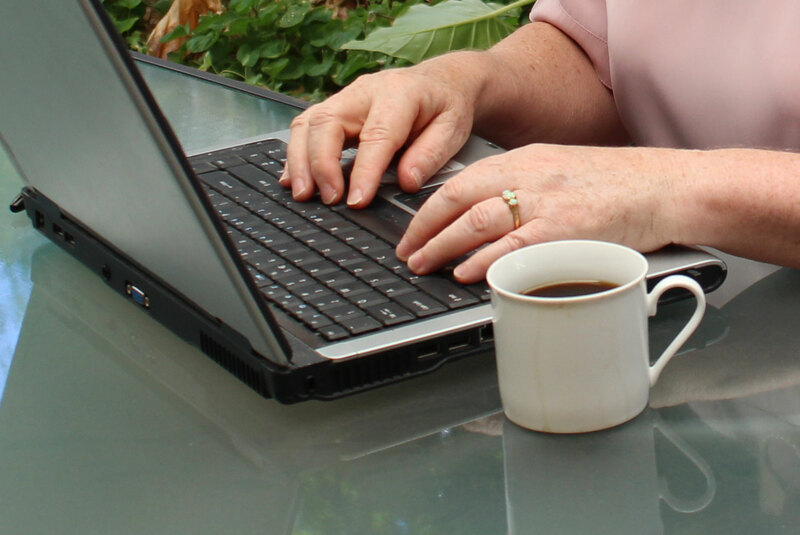 Reviews are the lifeblood of any author, particularly a new author like myself. If you are able to leave a review on any of the platforms, that would be wonderful. I love the way that characters develop a life and personality of their own. Sure we create them initially, but at that point we probably don’t fully understand their attitudes, their sense of humour or how they are likely to react in any given situation. We don’t know what they are going to do next. As I sit in front of that sheet of paper or the keyboard, these people develop motivations of their own and I am constantly surprised at what they do. I am there to keep them focussed, but take their directional journey with them. That’s not to say that the characters have full rein, as I know in general terms what their purpose is within the story – each character is there for a reason – but I draw the stick figure and the story fleshes that person out. I enjoy getting to know them as the story progresses. Some stories flow easier than others and The Red Heart was one of those. It helped that I had lived for many years in Alice Springs and also that this was where I learnt to fly. I knew the country from the air, I knew the characters and of course I knew the technicalities of flying. Today, there are many women who make aviation their career but at the time in which this story was set, there were still barriers to women as pilots. The attitudes encountered by Kathy were very real. It is a real buzz for me now therefore to get onto a commercial flight, knowing that there is a woman on the flight deck. I don’t know where Kathy is now, but perhaps she has progressed to the flight deck, still using Alice Springs as her home base, or perhaps she has settled on Mulga Downs with a brood of young jackaroos and jillaroos. What do you think she would have done?